Here’s a snare drum that I’ve had for a while. A good friend of mine was the original owner and sold the drum to me about 10 years ago at the 2005 Chicago Vintage Drum Show. The Shell: The solid birch shell has the typical Johnny Craviotto craftsmanship that he is famous for. The interior is signed and dated 2003. After I bought the drum I asked Johnny if he would authorize a new/updated name plate for me. He came through like a champ. The Hardware: I’m not sure about drum #2 but this drum has nickel plated hardware, die cast rims and a Trick strainer with the Craviotto logo. 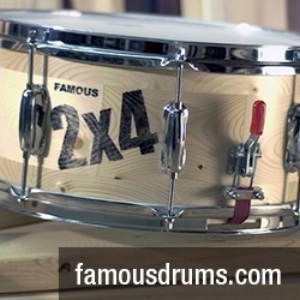 The drum has an Evans G1 batter, Craviotto/Remo snare side and Pure Sound 20 strand wires. 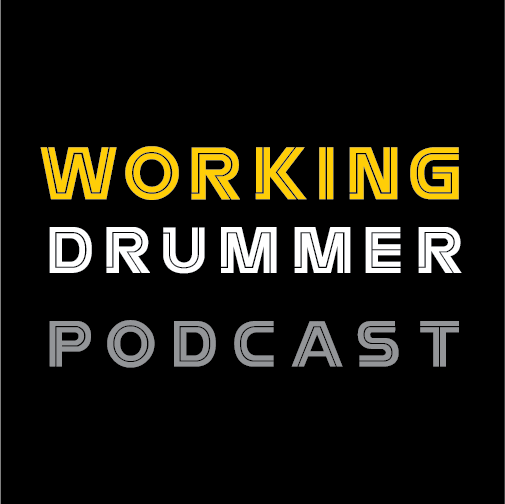 The drum has a great “pop” to it and is used all the time in my drum studio. 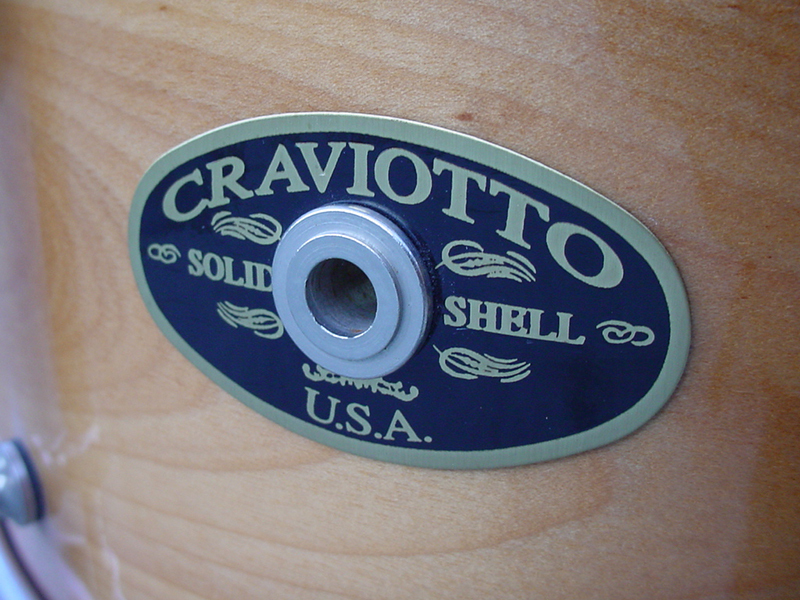 I felt that this very rare Craviotto snare drum should be shared with my friends, fellow collectors and the vintage drum community.